What a strange week that was. I hope that we will finally see some sunshine in the coming days here in my village. It feels like winter and looks like autumn outside. Even inside my apartment it's currently only 14°C, because the heating controller is broken again since yesterday (now the 3rd time in a year). Hopefully, it will be fixed tomorrow, because it's hard to sit here for a longer period of time. The candles that we placed in all rooms to get some heat are not really effective and I don't like to inhale that much paraffin in a day, but there is no other way currently. Now the text starts in a new paragraph. The fact that most content creators here don't have much knowledge about using HTML correctly, but they need to use it, because otherwise their posts wouldn't look as professional as they want them to be, makes me reconsider the required capabilities of my editor. I don't like to see people without any clue struggling with <div> elements and attributes like class="text-justify". There are many posts in the chain already, which contain incorrect HTML with missing closing tags like </div>'s. In many cases the displayed result won't even differ much, because most markdown parsers try to make the best out of the crap, but I think a good editor should inform the user about such things like missing/incorrect tags at least. As I don't have any deadline for finishing my editor, I will spend some more time with it in order to find a one-click solution for those cases. Wouldn't it be great, if we could just click on a 'make centered', 'justified', 'pull left/right' button, instead of having to use HTML? Ohje, ich habe einige elektrische Heizlüfter hier. Leider bist du zu weit weg. Gönn' dir vielleicht mal eine Pause. Wie wär's. Du gehst jetzt mit deiner Freundin in ein gut beheiztes Lokal und gönnst dir ein super gutes und warmes Essen. "My main mission didn't change, but I added a few major objectives. The testing phase will begin later than expected, because I need to make changes to the editor's base. I will keep you informed about the status ;)"
... no problem here. I am in no hurry. 😉 My preference is always for quality over quantity anyway, so take all the time you think necessary. But ... Can you do it all? Well, only you can answer that question, but thought I would at least raise the concern I have about your overall welfare. Until "next time," all the best to you! Hey @steemchiller, thank you very much for your efforts. Guten Abend Herr Chiller :D.
Ich wollt nur nochmal kurz anklopfen, obs denn mittlerweile Banner oder ähnliches zu Steemworld gibt? Desweiteren muss ich einfach nochmal kurz meine Zufriedenheit mit SW verkünden, wird immer besser (wobeis nie schlecht war xD) :)! Looking forward to what You CREATE !! Would be amazing if you could crack the sometimes esoteric interactions between Markdown and HTML within one editor. For example, the <center> tag wont close properly if it spans more than one line. BTW nobody seems to have mentioned this, but the External STEEM Price seems to be wrong - has been for a couple of weeks and was just waiting for a fix. It appears to show the Bithumb price, which is always much higher than the median across exchanges. I've tried changing the Coin Site in Settings but makes no difference. The price looked fine for a couple of days recently, then shot up again. All the other prices look fine. Any advice? BTW nobody seems to have mentioned this, but the External STEEM Price seems to be wrong. I needed to switch to coincap.io a few months ago (CoinMarketCap is no longer free) and there seems to be a bug in their current price discovery logic (https://coincap.io/assets/steem shows the same price). Looks like they currently use only Bithumb as source. Normally prices come from various exchanges and an average price based on volume is delivered via their API. As you said, prices were correct for a couple of days recently, so I guess they are working on the issue. I hope that it will be fixed in the coming days, otherwise I need to switch to a different provider. I've tried changing the Coin Site in Settings but makes no difference. The Coin Site setting does not have any effect on the shown external price yet, mainly because using other APIs is connected to signing a contract and paying fees in case of too many requests. One of my servers receives and caches the prices from CoinCap once in a minute and the clients get the data from there to reduce the number of requests, but there are still too many to be able to use any of the other sites for free. Maybe there is already a better alternative available. Many thanks! Had a quick look for you and, as you say, most APIs want payment for "business use", even if it is only one or two feeds. Only STEEMBTC, ETH and BNB. Can’t wait to check that editor. Hope all the home issues will let you work comfortably soon. My best wishes for this new week ahead. Yes please! Having to copy paste the long code for justified is never fun! Thanks for your continued efforts! Not sure if I will use the editor very much, but keep going! It sounds like many people will. Who knows I may become a big fan after it comes out, as it does look very nice. If it is good as all the other stuff you do I'm sure I will be won over easily. I can't wait for the witness. I have an open vote to give and will do so as soon as it is up and running! Also like the RC calculations idea! Sorry about the cold!! haha! I hate cold. I would go insane in those conditions. @steemchiller: Please be aware of the fact that burning anything in an enclosed space takes away the oxygen in the room, releasing carbon dioxide and carbon monoxide. If you burn a lot of candles for heat (or anything else combustible) you are depleting your oxygen supply and replacing it with harmful gasses. MUCH better to use a plug-in electric heater. ONLY burn items for heat in a properly-vented fireplace or wood-burning stove. This is a lesson I learned the hard way. I ended up almost killing myself with a propane lamp I used for heat, so this is not something to ignore! As many people already told you, we can't express enough our appreciation for the hard work to keep "SteemWorld" active. For me it became the ONLY program where I can have everything at one glance. 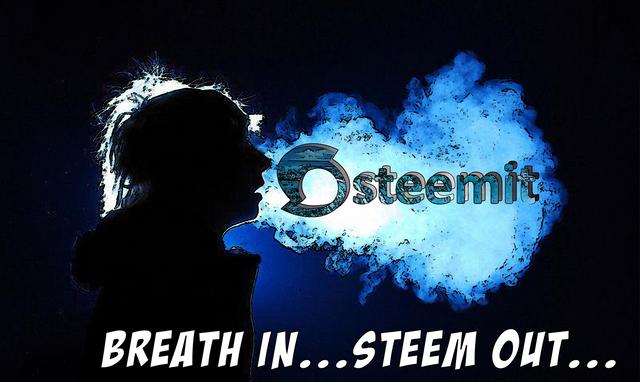 You are really very good in what you do, now it is not possible to imagine Steem without SteemWorld. Ich freue mich schon auf den neuen Editor. Ich bin sicher eine von denen die etwas falsch gemacht haben. Exciting to watch the work on the editor progress @steemchiller! Fortunately, I've been using HTML almost since it was introduced, so that's not so much of an issue... as is keeping up with tags/formats that become deprecated. One of the things I always appreciated about the Blogger platform editor was the ease of image handling: Upload an image of pretty much any size format, but then there is a choice of "small, medium, large, X-large, Original size" followed my a second choice of "center, left justify, right justify" with the side justifications automatically resulting in text wrap. Captions were a separate input box "tied" to the image. I imagine that's a coding nightmare, when sizes have to be parsed for the screens of a vast range of mobile devices, laptops and desktop units. Wouldn't it be great, if we could just click on a 'make centered', 'justified', 'pull left/right' button, instead of having to use HTML? Yes indeed! This would be very helpful, instead of copy/paste, what I am doing right now! Can't wait to test your new editor! Thank you for all your efforts! Thanks for continued work and ongoing assistance developing easier ways to create into steem. Danke dir für deine Arbeit! Great work as always @steemchiller! Really looking forward to your editor "in action," when it becomes ready! I absolutely love your work and amazing job on the website. It definitely show people their account and how to manage things using steemworld! You could create a HTML cheat sheet for the most common formatting rules. Most of use had to learn mark-up for Steemit, so we'll just have to learn HTML too. How hard can it be right? Viel Erfolg mein Freund. Deine Arbeit ist hier sehr gefragt. Admire your attention to detail. It’s my pleasure to support your work. There are definitely varying interpretations of HTML code by the different frontends, @quekery can confirm this. It's hard to find a middle way for the @steemillu. And it's really those basic details nobody who does not know HTML does not know about. For that very reason any basic editing functions are fine with me. Blöde Sache mit der Heizung. I use your app every day. Thanks for the great work. Go my vote and thank you. Greetings. Wie immer, danke und UPVOTE&RESTEEM. Für den nächsten Post muss ich jetzt mal den Editor ausprobieren. Der Markdown ist irgendwie nicht so der Hit auf Dauer. Amigo, muchas gracias por la información, siempre aportando a esta comunidad, nuevamente gracias. Thank you for this valuable post. Your identifications about common problems are very important for all users. Especially in enhancing one's post. 🎁 Hi @steemchiller! You have received 0.1 STEEM tip from @thales7! Thanks for such a great tool for steem. It's essential for users and glad to have you running it. Thank you very much for your consistent effort and stubborn tenacity!